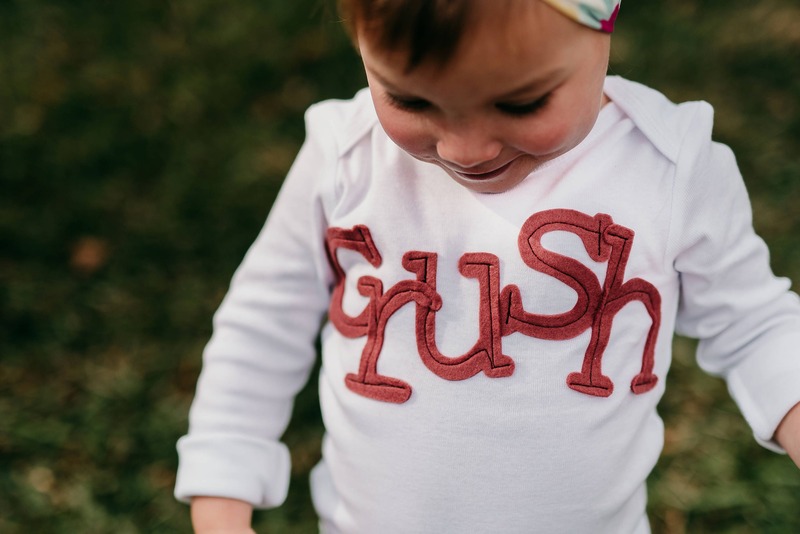 This is for that little lady crush in your life-- or little man crush! Either way, a crushing you shall do! We use Carter's brand for our bodysuits. 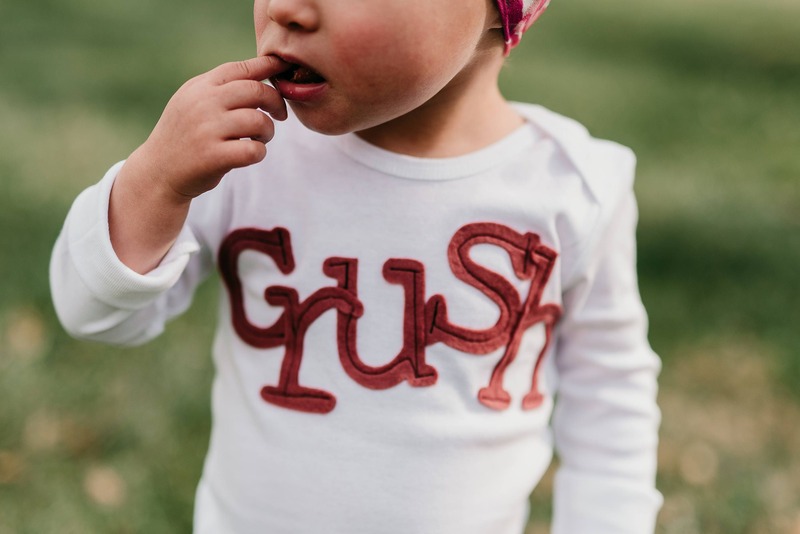 However, our tee shirts will vary in brand based on availability by the manufacturers, but we believe any of the ones we carry run true to size. If you have a question about what brand tee we are currently using, please send us a message! Felt sometimes can pill when washed, hand-wash or machine wash at your own risk!